New research has indicated that fasting can significantly reduce the effects of aging on the brain. It has been known that bouts of intermittent fasting have a powerful anti-inflammatory effect on the entire body. Leading scientists now believe that intermittent fasting improves brain health and is one of the key strategies for maximizing brain function. 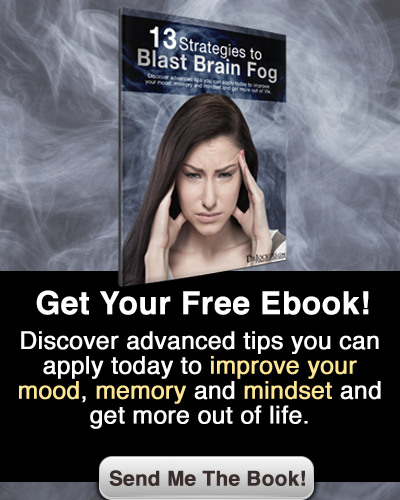 In this article, you will discover 4 ways intermittent fasting improves brain function. Researchers at the National Institute of Aging in Baltimore have reviewed the literature and performed studies to indicate the positive effects of fasting on overall brain health. Professor Mark Mattson, who the head of the Institute’s laboratory of NeuroSciences, made it clear that these benefits were not just related to calorie restriction but instead to intentional periods of intermittent fasting (1). Fasting for more than 6 hours begins the cleansing phase. The cleansing phase is catabolic in nature in that it tears down old damaged cells. This process turns on brain autophagy, or “self-eating,” in where the cells recycle waste material, regulate waste products and repair themselves. These genetic repair mechanisms are turned on through the release of human growth hormone (HGH). Intermittent fasting is one of the most powerful ways to reduce inflammation, boost immunity and enhancing tissue healing (2, 3, 4). This is one of the reasons why many people feel nauseated when they have infections. This innate mechanism is the body’s way of influencing us to fast so it can produce the right environment to boost natural immunity. Human Growth Hormone (HGH) is known to create physiological changes in metabolism to favor fat burning and protein sparing. The proteins and amino acids are utilized to improve brain and neuron processing. They also repair tissue collagen which improves the functionality and strength of muscles, tendons, ligaments, and bones. HGH also improves skin function, reduces wrinkles & heals cuts and burns faster (5, 6, 7, 8). Researchers at the Intermountain Medical Center Heart Institute found that men, who had fasted for 24 hours, had a 2000% increase in circulating HGH. Women who were tested had a 1300% increase in HGH (9). The researchers found that the fasting individuals had significantly reduced their triglycerides, boosted their HDL cholesterol and stabilized their blood sugar. These sort of results pertain to cardiovascular health but they are also markers of overall inflammation. 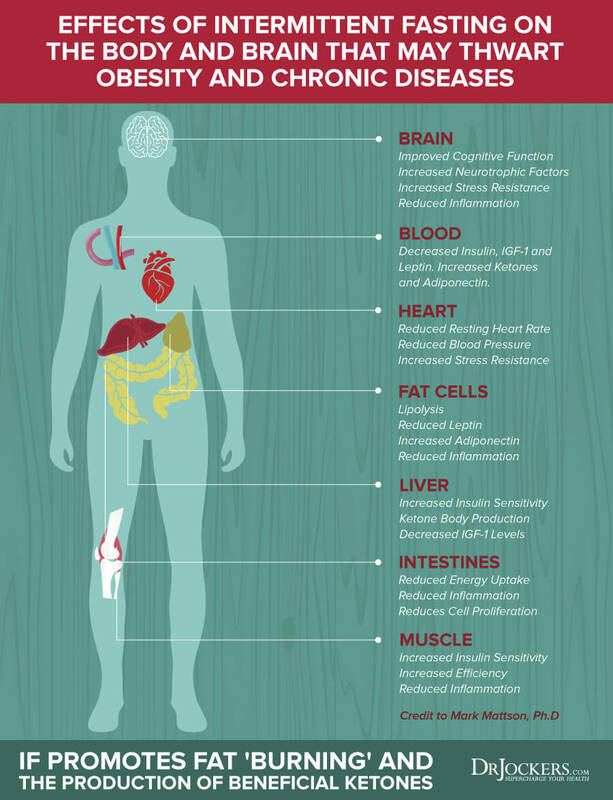 By reducing the inflammatory state of the body, fasting improves brain function and overall tissue healing. HGH and insulin are opposites in function. HGH is focused on tissue repair, efficient fuel usage and anti-inflammatory immune activity (10). Insulin is designed for energy storage, cellular division and pro-inflammatory immune activity (11). Insulin is the dominant player in this game. When conditions demand an insulin release (carbohydrate intake), HGH is inhibited (12, 13). Additionally, too much protein or fat may not stimulate insulin but they will inhibit HGH release. Studies have indicated that the disruption of neuronal autophagy results in accelerated neurodegenerative states throughout the brain (14). Elevated circulating levels of insulin reduce the amount of neuronal autophagy and cause metabolic problems as well as accelerated degenerative states (15). Bouts of intermittent fasting are essential for the brain to clean itself up and drive new neurons and communication lines for optimal function (16). In this way, fasting improves brain function as their is less clutter blocking healthy neurological function in the brain. Experts believe the intermittent fasting puts the brain cells under mild stress that is similar to the effects of exercise on muscle cells. The stress causes them to adapt and get more energy efficient (17). The body recovers from intense exercise through both the building and cleansing phases. Brain-Derived NeuroTrophic Factor (BDNF) levels govern the formation of new neurons and the development of synapses and various lines of communication within the brain. Higher levels of BDNF lead to healthier neurons and better communication processes between these neurological cells (18). Low levels of BDNF are linked to dementia, Alzheimer’s, memory loss and other brain processing problems (19). Intermittent fasting from 16 -18 hours has been shown to boost HGH levels by 50-100% and fasting up to 36 hours has been shown to boost BDNF levels by up 400% (1). Research has shown that bouts of fasting have a great anti-inflammatory effect on the entire body (20, 21, 22). Sufferers from asthma have shown great results as have preliminary reports on individuals with Alzheimer’s and Parkinson’s (23). Mattson and colleagues are preparing to study more details about the impact of fasting on the brain using MRI technology and other testing. Before one begins a lifestyle of intermittent fasting they should first remove as much sugar and grains from their diet as possible. This will create better blood sugar balance and help regulate insulin and the stress hormone cortisol. The diet should be built around good fats, anti-oxidants, clean protein and fiber. It can take three to seven days to stabilize blood sugar and stress hormones before intermittent fasting would be advised. Once the body is properly trained, most people are able to easily do a 16-18 hour fast everyday. The easiest way to do this is by missing breakfast to extend the overnight fast. Have a light lunch or mid-afternoon snack and then a large dinner. For many, they feel so great doing this that they choose to never go back to eating any differently. 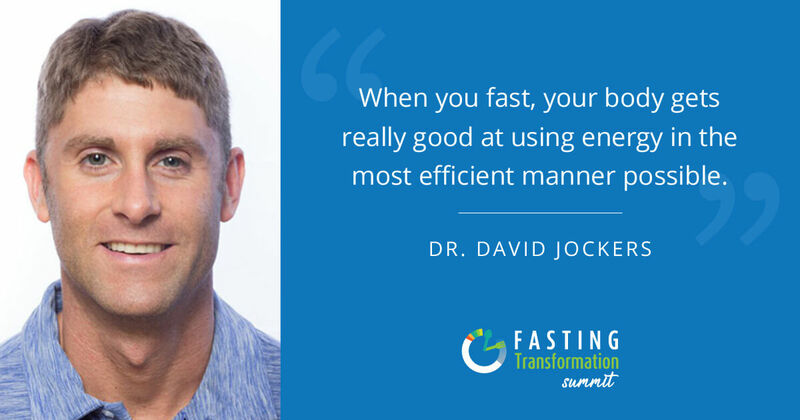 We know that fasting improves brain function and developing strategies that allow you to do this successfully is well worth your time and energy. As you begin fasting, you build up the metabolic muscle and it becomes significantly easier within a week or 2 of starting. I highly recommend doing at least 2-3 days of intermittent fasting each week to get the benefits. This can be spaced out if you are struggling so it isn’t on consecutive days. You will see the results as fasting improves brain function and prevents age related mental decline. I believe in fasting, but look at the resources for this article no real studies, just internet baloney–careful out there. I did it! It works. I lost 10 pounds in 3 weeks. I followed the plan closely, and ate all organic foods, grass fed beef, at plenty of veggies and did the smoothie first each day around noon…Ate a little at 2-3 and then ate whatever I wanted each PM. Great healthy diet that increases energy..
Great job Janece! Very proud of you! Fantastic discipline and results! I have seen great results with IF with many different patient types. This includes individuals with adrenal and thyroid problems. It is very key to drink lots of water (especially water with lemon or ACV) and herbal tea if possible during your cleansing phase. You may also try some coconut oil/coconut milk or MCT oil in tea or organic coffee if you like. As long as you are feeling good with this (not overly tired or having hormonal problems) than I would absolutely continue with this. Your gut is healing faster when you IF so great job! Many Blessings! Thank you SO much for getting back to me. The message you were sending out on the show “The Truth about Cancer” (I purchased the DVD – I will listen again) was like the BIG light bulb lit up moment for me. I could not fit size 8 jeans and now I have a room on the waist line by wearing petit size 2 jeans which I put on the shelf for easy a decade. Only took just two weeks… just amazing! I look the same but I LOST weight of visceral fat!!! 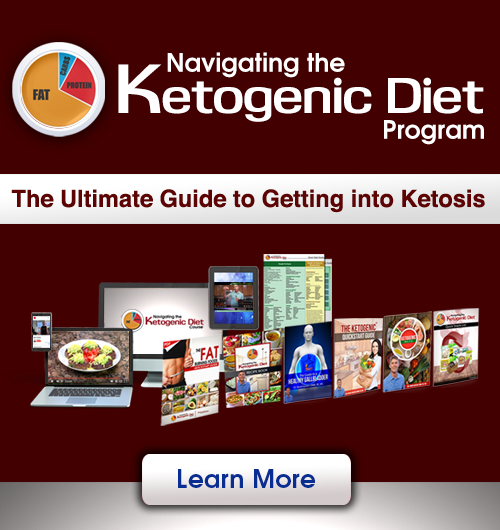 My blood sugar + hemoglobin A1c are creeping up high which my doctor has no idea, reverse T3 is high (free T3 is dead low), afternoon energy crash, losing my hair, weight gain even I no longer eat grains and sweet, various food sensitivity, and insomnia are common symptoms for last few years. I was forcing myself to eat breakfast because of sluggish thyroid (TSH 4.0) and weakened adrenal (Low all day cortisol level). But I have never ever knew skipping breakfast (I thought it is the big boo boo !!!) is making such a differences in my life. Maybe one day, I do not need to take 1,000 mg of HCL every meal? I have been feeling GREAT in the very fist time in two decades. i totally have a faith in you, Dr. Jockers. I snack this sweet “coconuts oil + mama root + hemp seeds + flax seeds + carob powder + nuts butter + stevia + very small portion of nuts (I need to buy dehydrator)”mix them and put it into to freezer for a few minutes and munch when I have sugar cravings. Thank you again for your comment. I truly appreciate it. Tamie Bilazzo Lic. Ac. It sounds like you have had a damaged gut for a long-time. I would recommend doing an auto-immune diet and adding in extra gut lining support such as L-glutamine, aloe vera, DGL, soil based probiotics, etc in order to get your gut stronger. Also, balancing your adrenals and improving liver function will help you balance out T3. If you would like to do a long-distance consult in the future let me know. Blessings! That is fantastic John! Let us know how it goes for you and what your experience is like. Many Blessings! Intermittent fasting screws up your thyroid and adrenal hormones if done for too many weeks. Read some experiences of people who have tried this; quite a few of them relate this. This is true if the individual has significant adrenal issues to begin or if the IF is done incorrectly and the individual has daily practices that overtax the adrenals. In general, IF supports the adrenals and thyroid by keeping inflammation under control and improving the health of the gut lining. Hi, I am 63yr old woman with diabeties type 2 I have a six hour eating window and when I eat it is as low carb as I can, I do this every day it is just the routine I like and am fine with it The problem is I have been told I have fibro and finding the pain so exsausting do you think my diet can be making my fibro worse, my family dont like my eating habits and think that has to do with my pain. I want to keep on going as I think if anything it would help my fibro. I am not on meds of any kind I hate them, I am trying so hard not to take pain killers it just not me and I am so confused what to do. I am a thin D 5ft3in and weigh 53k there is a lot of D in my family not I might add from overweight I have never been over weight in my life and always had a good diet, it’s just the genes I have been given. Every one thinks I should just take the pills and get on with it but I don’t think that is the way to go is there and suplement I should be taking to help I do take magnesium citrate and have made magnesium lotion I rub on my feet at bed time It helps me to relax. hope you can help. Yes Preethi an occasional 24 hour fast can be very beneficial for the body! Does taking antioxidants such as vitamin C or E decrease the benefits of fasting in the same way its said to in exercising? Hey Vander, if you’re not taking incredibly high doses this shouldn’t be a problem. Also, as long as you are cycling them there will be minimal issues. Take a day or two off of these once a week or so. Hi, I want to look at scientific articles about intermittent fasting. Could you please share some articles? Thanks! I would truly appreciate your advice. I eat very “clean” (only fresh vegs, meats, no grains or legumes – ie: low carb), no processed foods. I do serious workouts 4 – 5 days a week. In other words, I take good care of myself. I am 61 years old and have had Hypothyroidism for years. In the past 2 years, I have gained 20 pounds, even though I eat so healthy and exercise. I have recently found out that the healthy cruciferous vegetables that have been the bulk of my diet actually work against my thyroid. I just can’t win! I have tried all I know to try to lose these 20 pounds. Just accepting it is not an option. I have read your article about intermittent fasting and it really intrigues me. I would like to try it for all the health reasons you you outline in your article. In the past 10 years, I have done a 30-day fasts twice (just juiced vegetables and fruits), so I am not a stranger to the concept of fasting. Could you please provide the specific “how-to” steps to undertake? Specifically, what foods to eat and when.